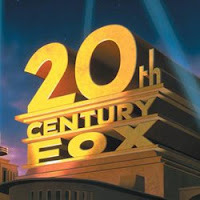 Name pretty much any successful movie that Fox has made in the last 20 years, and you can bet they're thinking about either a sequel or a reboot. Whether it's Alvin and the Chipmunks or Independence Day, everything can be cannibalized and turned into a new moneymaker, as IESB.net learned when they sat down with Fox's co-chairman Tom Rothman. Standalone Predator movie? "We would certainly be open to it." Sims movie? "It's in development." Deadpool movie? "We will have to see." Another take on the Hitman story? "I wouldn't rule it out." Pretty much the only thing he's willing to say for certain is that Fantastic Voyage, the 1966 adventure movie, is a remake they're "looking very seriously at." Check out the entire interview at IESB for details on your favorites.